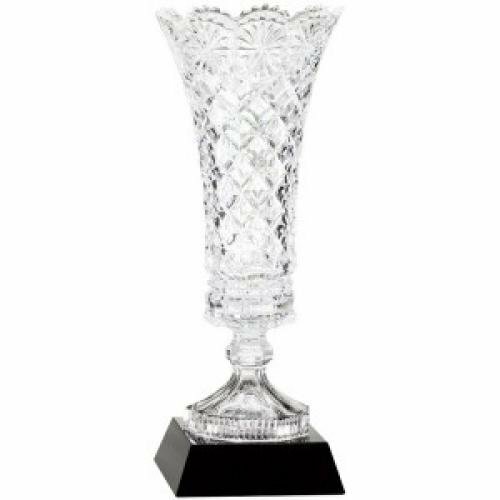 Elegant Crystal Vase on Black Crystal Base. Includes Gift Box. Includes 3 lines of engraving on base - Each additional line $1.00. Stunning Crystal Vase on Black Crystal Base. Includes Gift Box. Stunning Roman Crystal Bowl mounted on Genuine Black Crystal Base. Includes Gift Box.